The life of Bodhidharma, the founder of Zen Buddhism, has, with the passing of time, been magnified to the scale of myth, turning history into the stuff of legend. Known as the First Patriarch, Bodhidharma brought Zen from South India into China in 500 CE, changing the country forever. 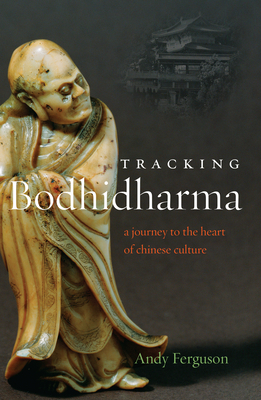 In Tracking Bodhidharma, Andrew Ferguson recreates the path of Bodhidharma, traveling through China to the places where the First Patriarch lived and taught. This sacred trail takes Ferguson deep into ancient China, and allows him to explore the origins of Chan Zen] Buddhism, the cultural aftermath that Bodhidharma left in his wake, and the stories of a man who shaped a civilization. Tracking Bodhidharma offers a previously unheard perspective on the life of Zen's most important religious leader, while simultaneously showing how that history is relevant to the rapidly developing super-power that is present-day China. By placing Zen Buddhism within the country's political landscape, Ferguson presents the religion as a counterpoint to other Buddhist sects, a catalyst for some of the most revolutionary moments in China's history, and as the ancient spiritual core of a country that is every day becoming more an emblem of the modern era.